The Killyliss Chess set is handmade in Ireland. 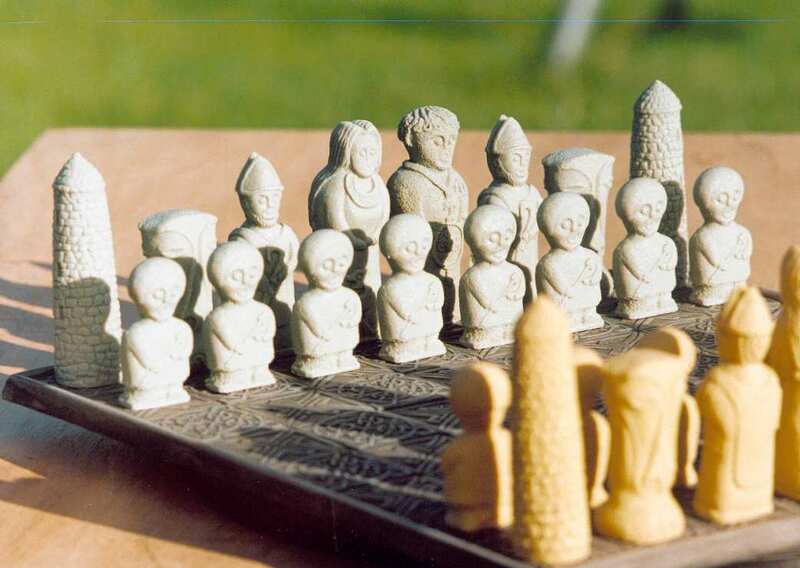 The design of this chess set is unique, only made by the designer and craftsman Colm Mc Cann. Each piece has an individual character, but it is only when all the pieces are placed on the board that they take on a new magical quality, that makes this chess set a very tactile pleasure to enjoy. The chess board is made of reconstituted limestone from the Glens of Antrim and is hand polished to a high finish. Alternating knotwork and maze patterns are used to decorate the board surface.The chess pieces are inspired by the Artwork of the early Celts. 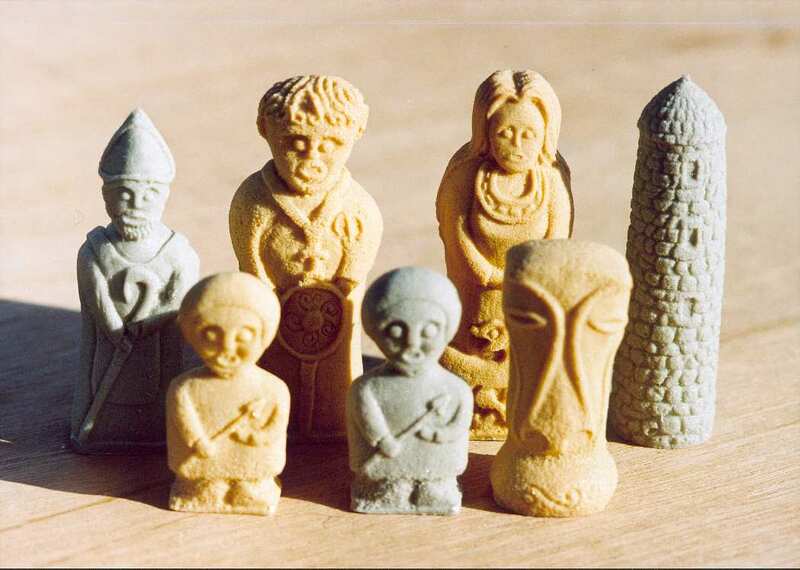 The main inspiration for this chess set comes from the White Island figures Lough Erne, Co. Fermanagh, Ireland and the carved high crosses of Ireland.The High cross of Moone ,Co Kildare being a fine example of this style. The Celts simplified the human form in their carvings and in doing so they captured the essence of the subject.The king is based on " David the Warrior ",one of the White Island figures. The Queen is inspired by the wall carvings of the early Celtic era. The Bishop is based on a carving found in St Lurachs Chapel ,Maghera Co. Derry. The Knight is inspired by Celtic Chariot brasses found in Melsonby N.Yorkshire, these were probably used as charms or talisman by the Celtic Charioteer.The Rook or Castle, is represented by an Irish Round Tower. 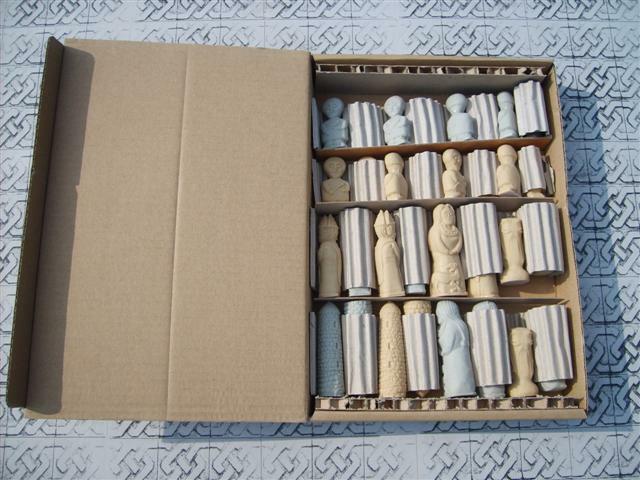 Finally the Pawns are based on the Twelve Apostles, a panel found on the High Cross of Moone Co. Kildare. To indicate scale the King And Queen are 90mm tall and the board is 325mm x 325mm in size. 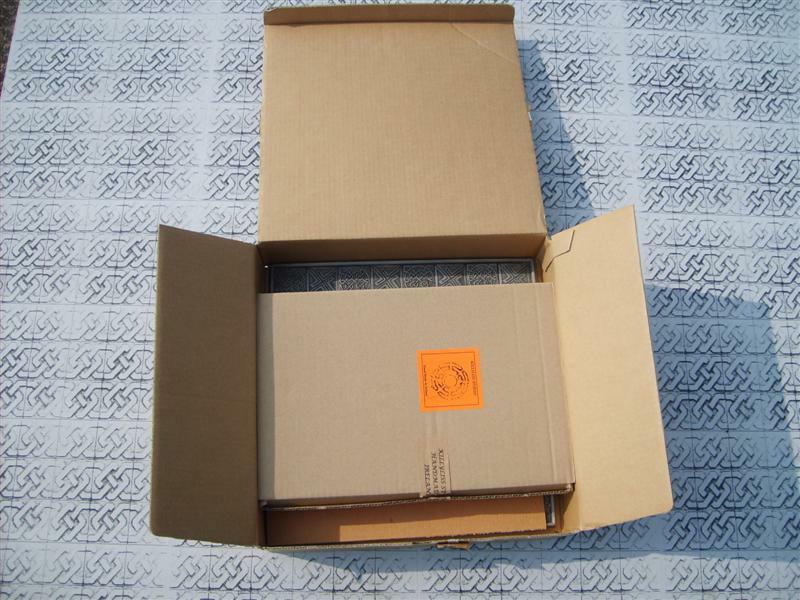 This chess set comes packed in its own box as can be seen in the product images. To get a better view of the chess set pieces, follow the youtube link below and watch the Killyliss chess set clips, showcasing the different chess pieces. The Killyliss Chess Set makes a wonderful and unique corporate gift idea. The link below shows the Killyliss draughts / checkers set.